A few hundred West Virginians are poised to cast a federal election vote on their cell phones this November. And depending on the outcome, they’ll have Bradley Tusk to thank — or to blame. (CHARLESTON, W.Va.) — A few hundred West Virginians are poised to cast a federal election vote on their cell phones this November. And depending on the outcome, they’ll have Bradley Tusk to thank — or to blame. Tusk, a 45-year-old former political operative and early Uber investor who once specialized in helping the rideshare giant beat taxi regulations, is bankrolling an effort to allow West Virginians serving in the military or living overseas to cast absentee ballots through an app on their smartphones. Modernizing voting to make it easier, Tusk says, is the answer to the low voter turnout plaguing our “dysfunctional, polarized democracy,” and he hopes to see the program expand to other constituencies and other states in the near future. 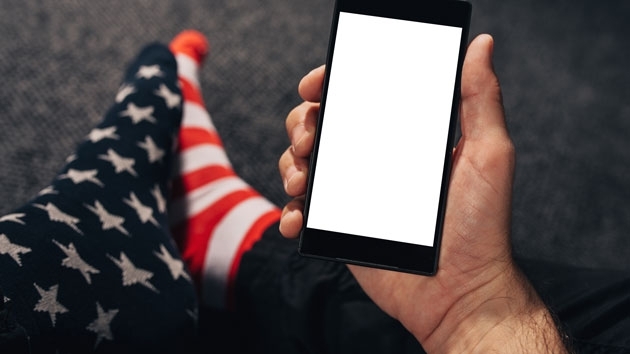 It’s believed to be the first time U.S. voters in a federal election will make their mark via smartphone app, but what might otherwise be celebrated as a pioneering milestone is instead saddled with suspicion. Tusk’s project comes at a time of heightened concerns over vote hacking following Russia’s efforts to interfere in the 2016 election, when many election-security watchdogs –- both inside and outside of government -– are calling on states to move back to paper ballots. Lawrence Norden, a prominent election security expert at the Brennan Center for Justice’s Democracy Program, didn’t hesitate to deliver a harsh verdict on the project. “I think it’s a horrific idea,” he said, suggesting states should focus on spending money to enhance cybersecurity rather than rolling out new voting methods. West Virginia’s voting app has ignited a debate over what’s more important –- using new technologies to expand voting access to those who may have a hard time casting ballots or protecting the integrity of the vote itself from the hacking of those new and potentially vulnerable technologies. Tusk, the developers of the app, and election officials in West Virginia all say the tradeoff is worth it. Election-security experts are, to say the least, not so sure. Here’s how it works. According to a state-issued video tutorial, voters will download an app, called Voatz, and use it to take pictures of their government-issued ID cards (West Virginia implemented a voter-ID requirement this year) and verify their identities by taking selfies and letting the app match them to the faces on their IDs. The app uses blockchain technology, which will store a record of a vote several different computers or servers at different locations, each of them checking the record against each other. It won’t say who owns those computers, but it has hinted that some will be its own and some will belong to the state government. The scope will be extremely limited. Following a two-county trial run in the state’s May primary in which 16 votes from six different countries were cast, the state hopes that between 200 and 400 votes will be cast via Voatz in November. Tusk led the effort to connect a reliable app with a willing state, and when he found Voatz and West Virginia, he put up the money to make it happen. Through his philanthropy, Tusk Montgomery Philanthropies, Tusk has already spent $250,000 to subsidize the project in West Virginia, and he says he’s prepared to spend “eight figures” —- at least $1 million —- to advance it elsewhere. He says he is negotiating with other jurisdictions to adopt cellphone voting in some municipal and state elections next year. Tusk insists he’s not in it for the money — he has no plans, he says, to invest in Voatz or any other voting-app startups –- but he has nevertheless set an ambitious goal. “I want everyone to be able to vote on their phones because I want everyone to be able to vote,” Tusk said. West Virginia, for its part, does not share Tusk’s expansionist attitude. The state only plans to use cellphone voting for military and overseas absentee voters. The state’s top election official, Secretary of State Mac Warner, served in Afghanistan and entered office with a priority of making it easier for service members to vote while serving overseas. His son, an active service member, was the first to cast a cellphone vote in the state’s primary, Warner’s spokesman said. Any risk in using the new technology is worth the reward of making it easier for service members to vote, Warner said. Election watchdogs, meanwhile, are less than thrilled. “They’ve done nothing to demonstrate in a public way why it’s been secure,” Jeremy Epstein, vice chair of the Association for Computing Machinery Technology Policy Committee, said of Voatz. Tusk, the company and the state point to an audit following its May trial run that revealed no problems. National election watchdogs aren’t satisfied. They want to see the results of audits Voatz has conducted to assess security before a live election is effectively used as a test run for a new technology. “They’re not thinking a lot of this stuff through very much, because I think they’re too hell-bent on the outcome,” said Susan Greenhalgh, policy director at the National Election Defense Coalition. Experts have been urging states to move back to paper and use the $380 million Congress appropriated this spring for election upgrades to do away with paperless electronic voting machines and sure up cybersecurity practices —- not to move further into electronic voting territory. Voatz co-founder and CEO Nimit Sawhnney argued that the risk is worth the reward. As for the state, Warner has made his case. “It’s much more secure than taking a paper ballot, sending it overseas, letting it sit in a dusty mail room,” Warner said.